Healdsburg does it again! Smithsonian Magazine has included Healdsburg in their Top 20 Best Small Towns to Visit in 2014. We are so proud to be mentioned in this very thorough and creative summary of life in some of America’s richest small towns – rich in cultural opportunities! 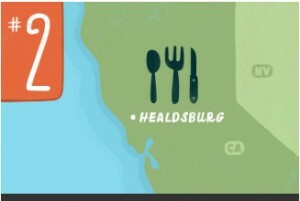 Click Here to read all about Healdsburg and the other 19 small towns across the nation.